Create animated Gifs from videos. Support exporting to MP4, or other video format. GIF files are gaining more popularity these days but still the strange fact is that few social media sites does not offer support to GIF file format. One of the biggest examples of such platforms is Instagram. But, if you are a real fun lover then this simple issue cannot stop you from uploading interesting animations or videos over internet. As Instagram does not support GIF images so why not to get them converted to simple video files and then update an entertaining sequence for your audience. That's really a great idea. It is much easier to convert GIF images into many popular video file formats like AVI or MOV etc and then can be further shared on YouTube, Instagram and many other sites. So if you are ready to get started with this adventure then keep reading this article. Here you will find details about best GIF to video converter tools that are popular among professionals as well as beginners. One of the best recommendations for your GIF to Video conversion needs is Wondershare Filmora due to its user friendly interface. This tool works fine on Mac as well as Windows platform and extends support to all popular video file formats like WMV, MP4 and MKV etc. Filmora offers wide range of editing features like aspect ratio, speed, trim, merge, rotate and crop adjustments. Users can also add music on videos to make them more appealing. Possesses so many special effects along with text and title editing options. Files can be easily exported to iPhone, Android like devices. It allows easy sharing of media on social media sites like Dailymotion, Vimeo and YouTube etc. However, if you want to make a GIF online, Filmora meme maker is your ultimate solution. It helps you make image, GIF and video memes directly without watermark. It is totally FREE to use and no sign up. You can change text size, color and position to create caption when you are editing. Filmora meme maker supports converting GIF to video. Just with a few clicks, your GIF is done. Try it now! Key Features:Converter Lite extends support to numerous image and video file formats. Videos can be easily converted to animated GIFs and vice versa. Conversion process can be carried with impressive animation and effects additions. Frame rate can be defined by users. Import your desired GIF image. Select format for destination file. Users can define frame rate as per need. Provides huge options for selection of input/ output file formats. It leaves watermark on output files. It assists in fast conversion of videos to GIF formats and the best part is that users can also clip video files to get their desired end results. It generates preview of edited file before initiating the actual conversion process. The converted animated GIF files can be easily shared on other platforms. First of all users need to upload their GIF images to software platform. Generate preview of all frames. Now adjust your output file parameters to avail customized results. Choose your output file format and define destination. It extends support to all popular video file formats. The interactive interface makes it easier to operate even for beginners. Reviewers do not rate its performance up to the mark. Key Features:This tool supports wide range of editing functions like trim, rotate, crop etc. It can handle multiple media file formats like SWF, MOV, AAC, MKV, 3GP, MP4, WAV and FLV etc. 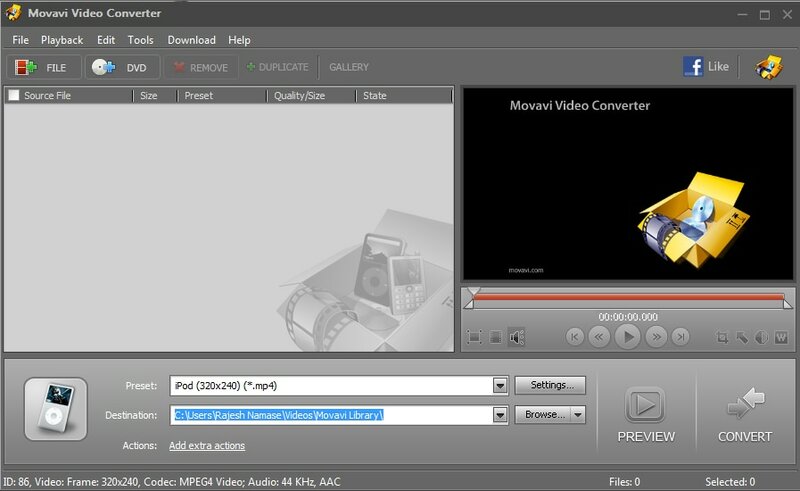 Movavi can be used to create captions and watermarks on videos. Marketers find it very useful. The most amazing thing to know is that this tool works perfectly on wide range of devices like Xbox, iPhone, iPad, Sony PlayStation as well as on Android devices. Get your files imported on Movavi timeline. Choose your desired output file format and adjust settings accordingly. Get your files converted immediately. It cannot process copy protected version of media files or DVDs. It can be used to convert GIFs into videos and then share them immediately on social media platforms. With GIFShare, you can easily keep your Instagram page updated with all new GIF converted videos. 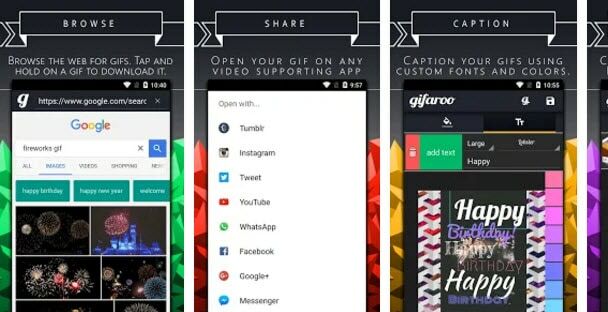 Upload your GIF files to software platform; you can get them from camera roll or from GIFShare. Make desired editing on background and speed etc parameters. Get it converted with customized size level. Upload outputs directly to Instagram. Here is one more interactive tool that allows users to directly upload GIF converted to Instagram. There are so many customization filters, effects and background editing options; users can also alter captions with different colours and font styles. 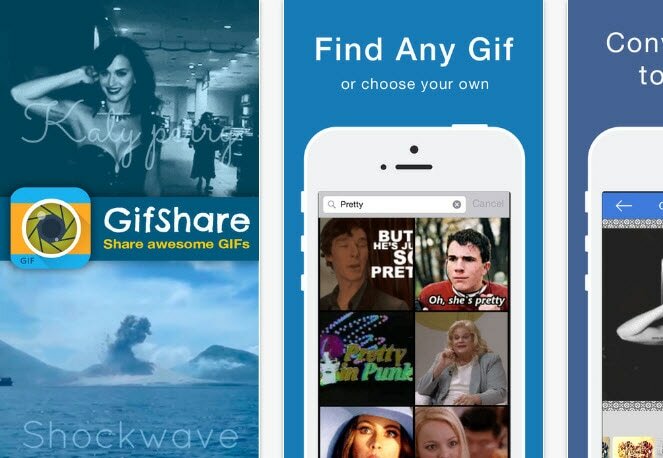 Start browsing some interesting GIF animations on your Gifaroo app directly. Bring the desired one to editing platform with single tap. Once customized then upload it to your Instagram profile. With GifVid you can convert simple videos into GIF animations and collection of GIFs can be turned back to videos with different file formats. Once your file gets converted then you can easily share them on Tumblr, Imgur, iMessage etc. Key Features:GifVid is designed with a straight forward and user-friendly design. This tool can be used in multiple languages. Supported Platform: Works on iOS devices like iPad and iPhones. Developer: It was developed by Artsy Apps. Due to impressive user interface, advanced editing options and fast conversion rate, this tool is kept at first positing with higher user ratings. It can easily process uploaded video files as well as URL based links hence you can enjoy full flexibility on your portable as well as desktop devices. Key Features:Beginners can easily handle its intuitive interface. Simple layout makes editing task much easier and conversion can be completed within very less time. Supported Platform: It works on Window platform with active internet connection. Developer: This tool is owned and developed by Studio September that is a popular software developer company at Deutsch. 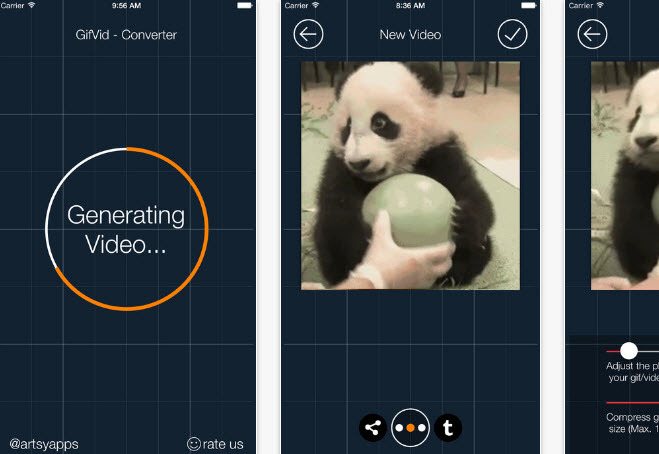 On Cloud Convert, users can easily process all popular video file formats to generate high quality outcomes. It is not just limited to MP4 rather can support all professional level media extensions. If you wish to make editing with few specific settings like codec adjustments then Cloud Convert can assist you better. If you want to access full feature version then you can get registered to this converter tool as paid users are able to avail more facilities. Key Features:Cloud Convert can process any video file format with ease so you can bring any desired file to its timeline. Here you will get more freedom for customization settings of all converted videos. Supported Platforms: This tool is compatible with Windows only and users need to get their device connected to a high speed internet connection to avail best services. Developer: This tool is designed and maintained y a Germany based company, Lunaweb Ltd. Here is one more easy to use yet feature rich converter tool that can easily process your collection of GIF images to generate a MP4 video as an output. As the name indicates, this tool is intentionally designed for assisting users to get their GIF file converted with MP4 video file extension. There are numerous features hidden inside this online converter tool but once you start working over it your will be able to do awesome creativity with each editing project. Key Features:It offers fast one way conversion from GIF to MP4 video files. Supported Platforms: Mac and Window but device must be connected to internet for its operation. Developer: This tool is designed by trubo@zelnet.ru. If you want to make GIF quickly, Filmora will offer you an online solution for making a GIF. Filmora meme maker can help you make image, GIF and video memes directly without watermark. It is totally FREE and no sign up. You can change text size, color and postiton to create caption . Try it now!